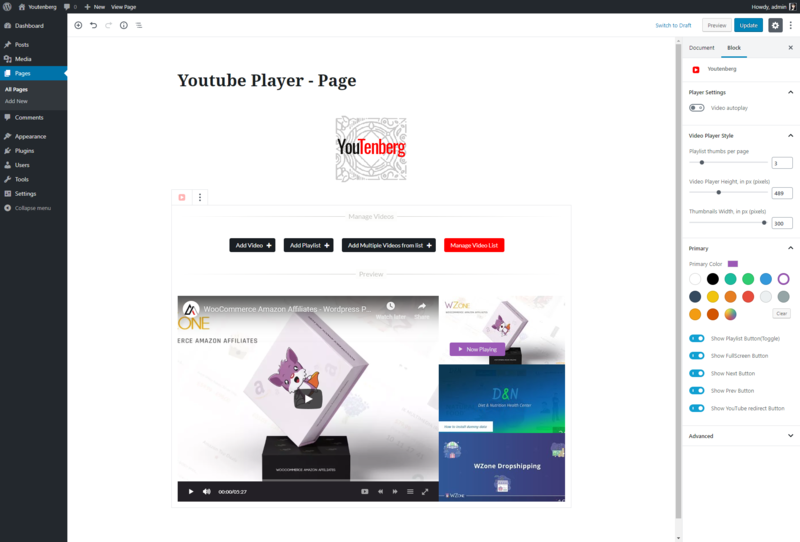 The Youtenberg - YouTube Player extends the WordPress block editor functionality by adding useful extra block element to it. 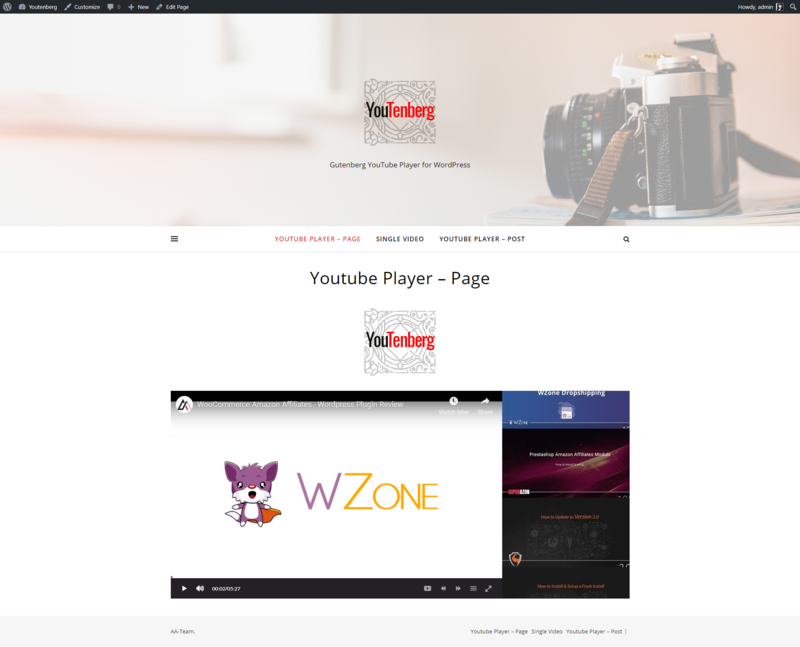 Use it to simply add single youtube videos, youtube playlists or create youtube playlists on your WordPress blog. 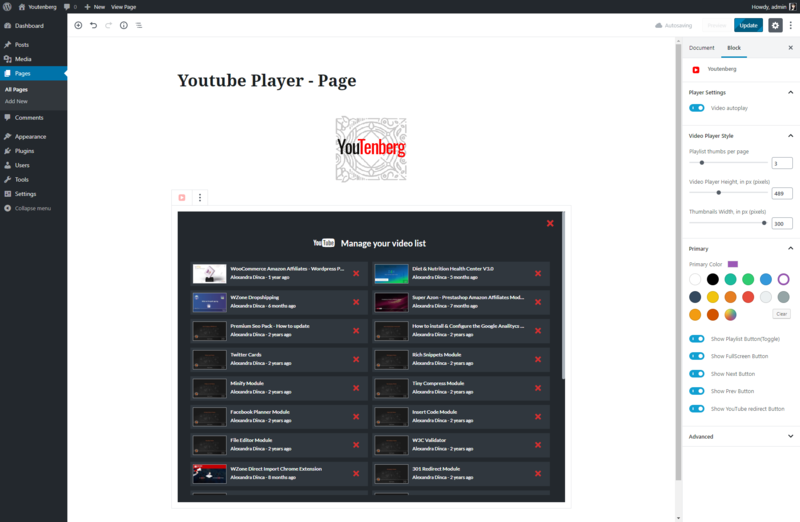 Search by keyword and embed any video from youtube into your playlist! In version 1.0.1 we implemented this feature as well. Also you can manage all the videos that you wish to display on your blog, you can order and delete them in just a flash! You have the possibility to customize the player – select a primary color, display the playlist on the right side of the video, setup how many items to display in the playlist, setup the video to autoplay & also setup the height of the youtube player! Choose to display player controls – display next – previous buttons, display fullscreen button, display youtube redirect button & show toggle playlist button. 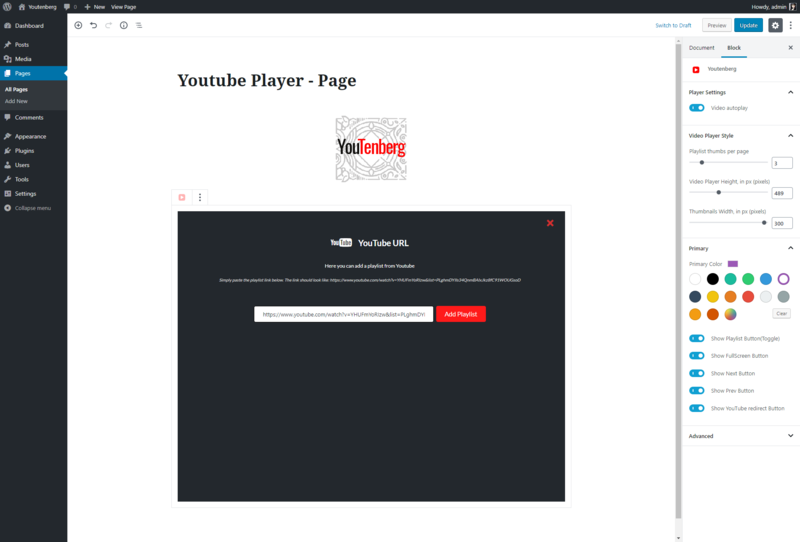 Default functionality like play / pause / volume is also available in the Youtenberg Player plugin. It also shows you which video is currently playing from your playlist. Show the current video that it’s playing.